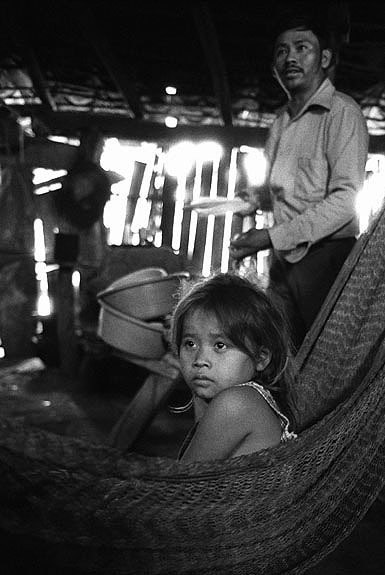 Displaced family in the Department of Murazân. 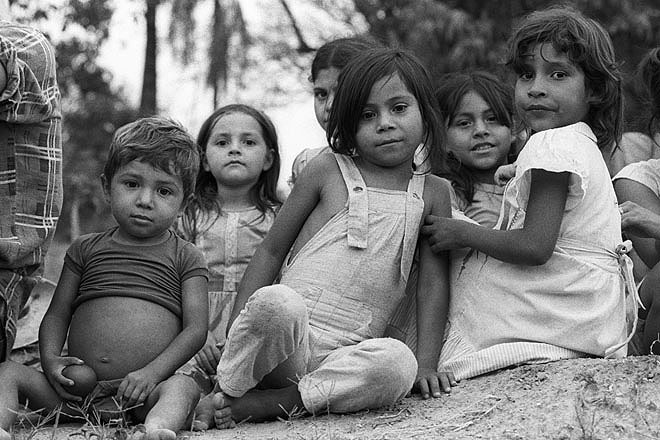 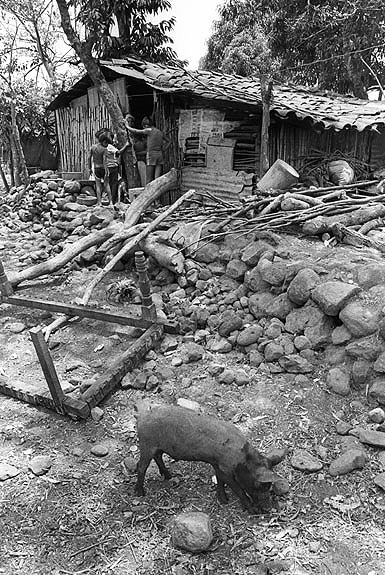 Settlement for displaced families near Santa Ana in the west of El Salvador. 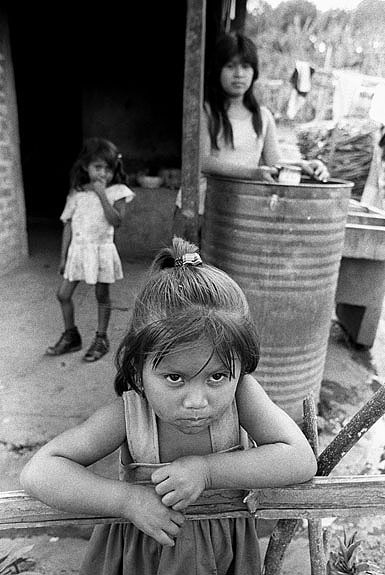 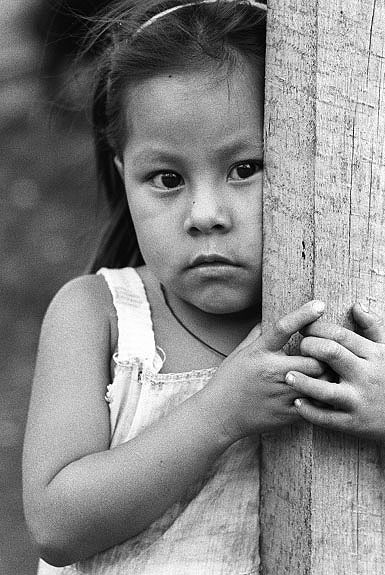 Displaced people in the department of la Libertad. 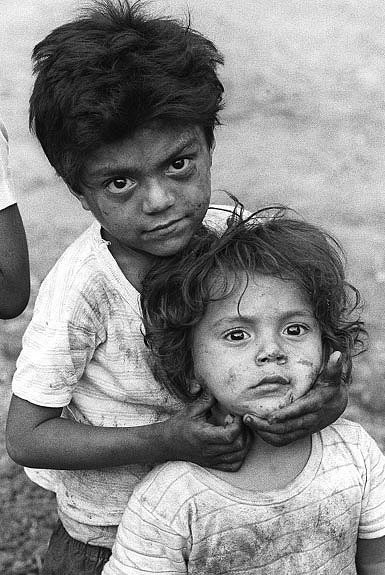 Settlement for displaced families in the department of Murazân. 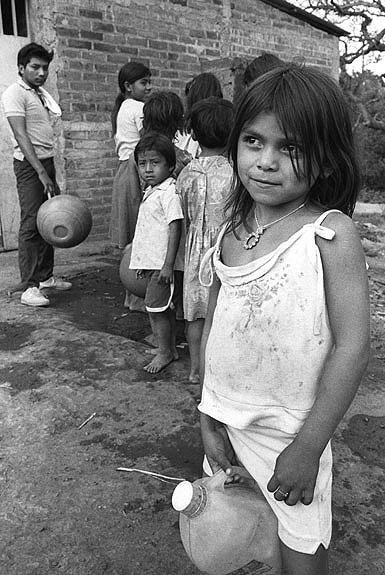 Displaced families near the town of Santa Ana. 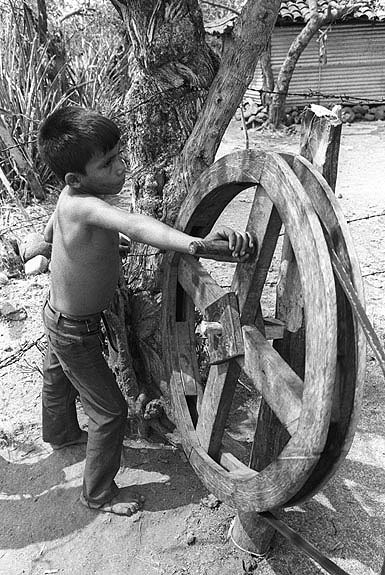 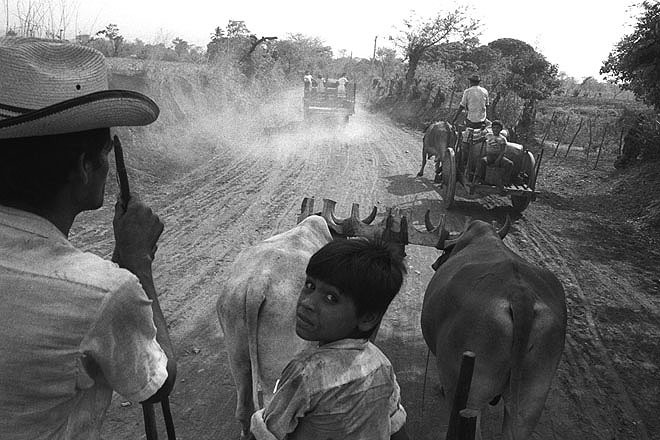 Ox carts bring water to a small community near San Miguel. 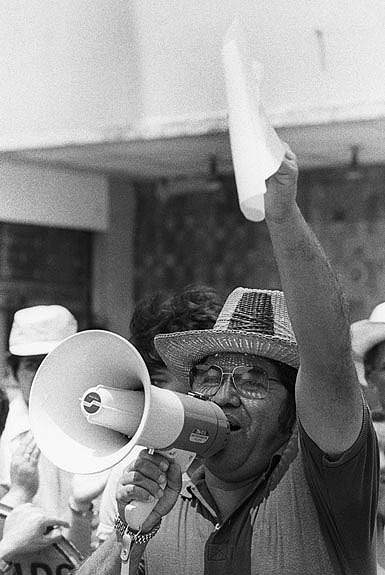 Demonstration of Campesinas in San Salvador. 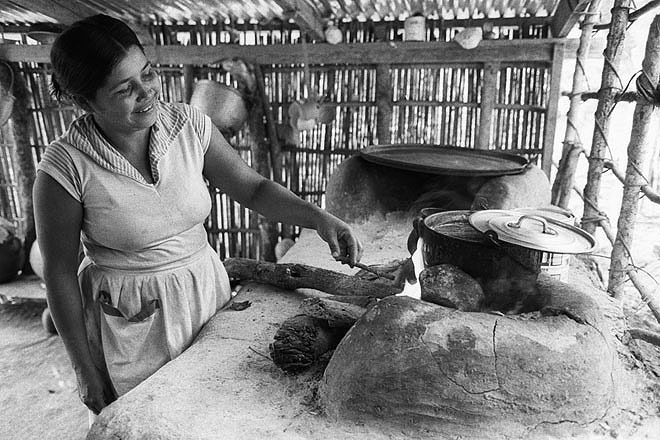 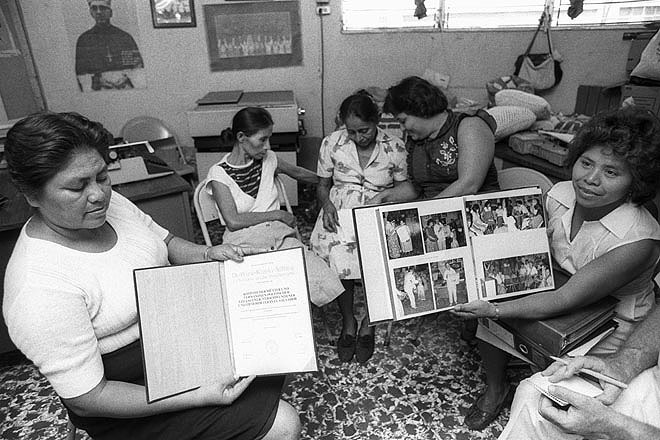 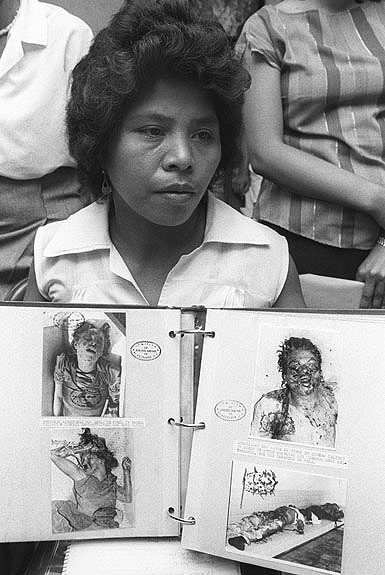 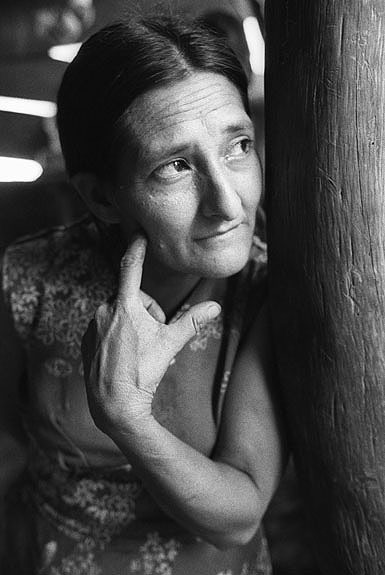 San Salvador, mothers of some of the more than 700 disappeared in El Salvardor. 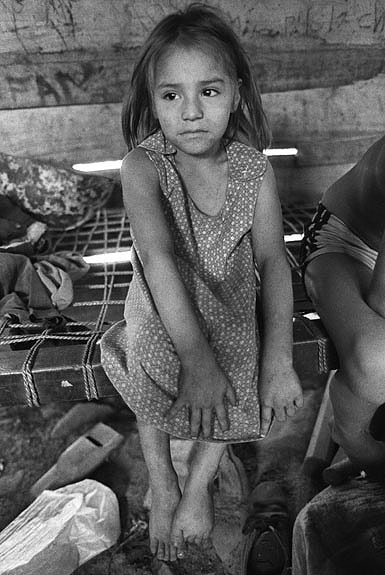 Children attending a Catholic Mass in a settlement for displaced people on the outskirts of San Salvador. 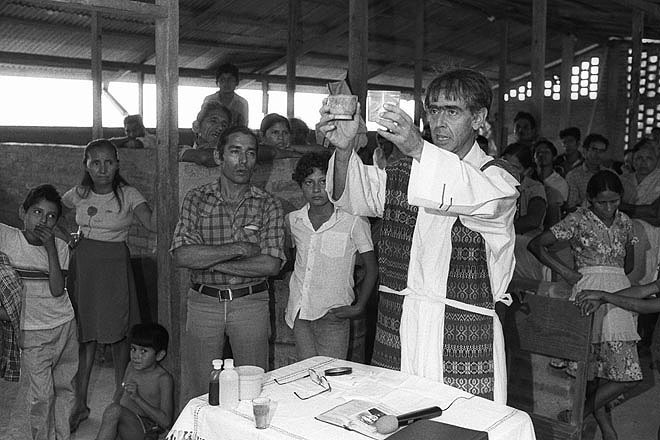 Catholic Mass in a settlement for displaced people on the outskirts of San Salvador. 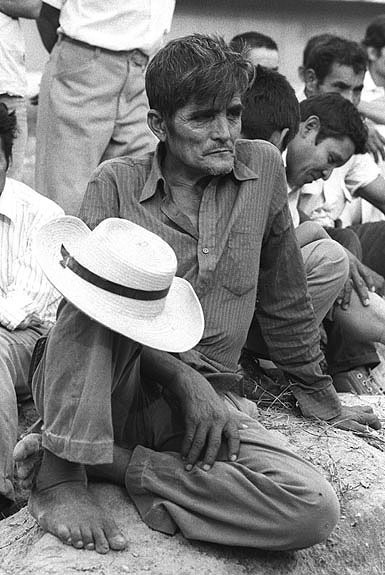 People attending a Catholic Mass in a settlement for displaced people on the outskirts of San Salvador. 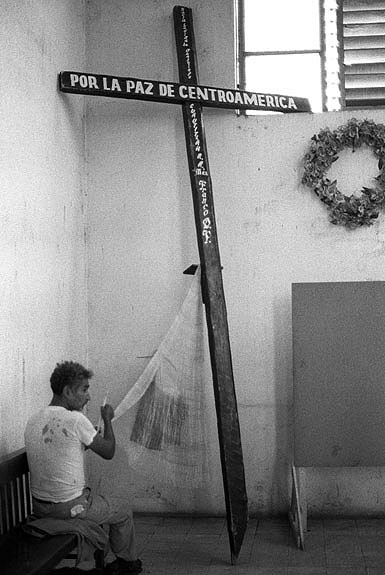 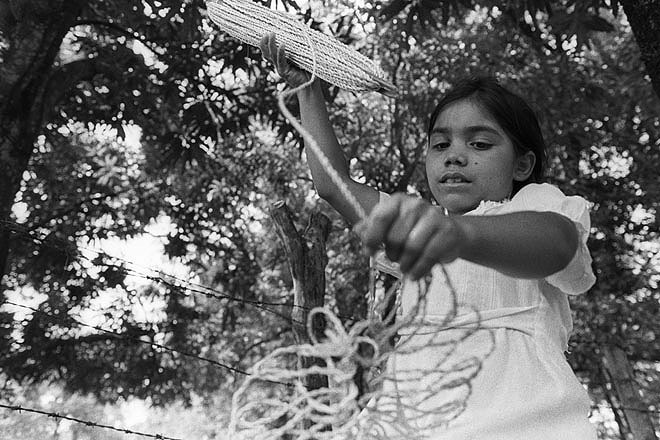 A Salvadorian artist weawing a spidernet attached to a cross in the Cathedral in San Salvador as a symbol of the lack of peace in the country. 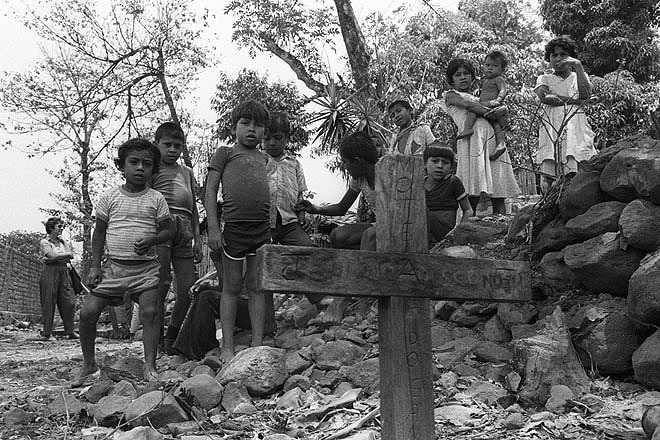 A small cross marks the place where the people of Osicala, a small community in the northeast of the country found the bodies of some of the more than 700 disappeared.